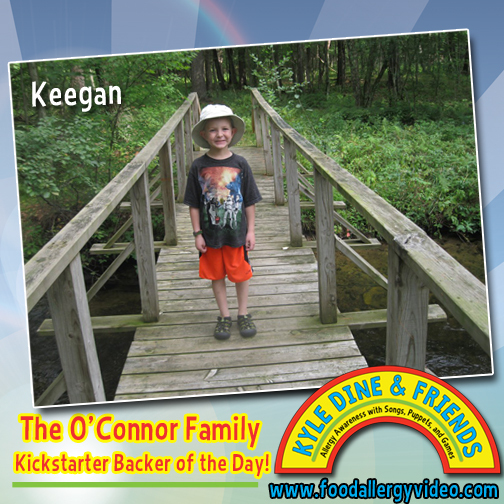 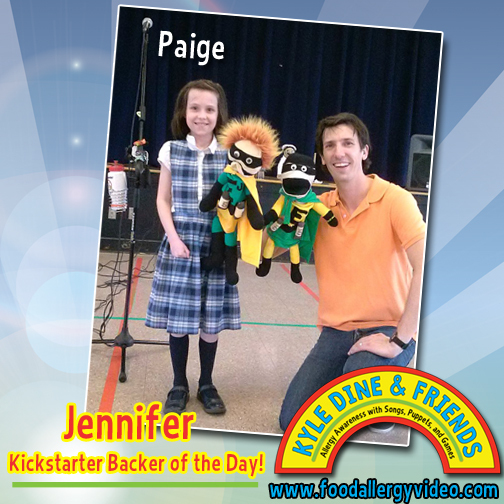 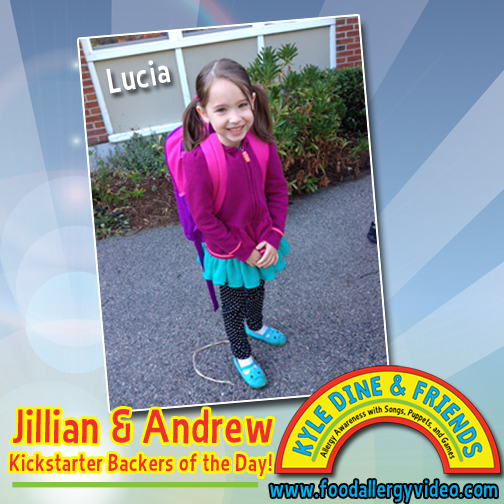 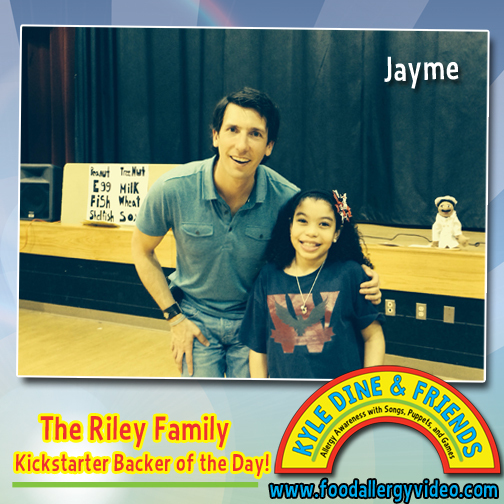 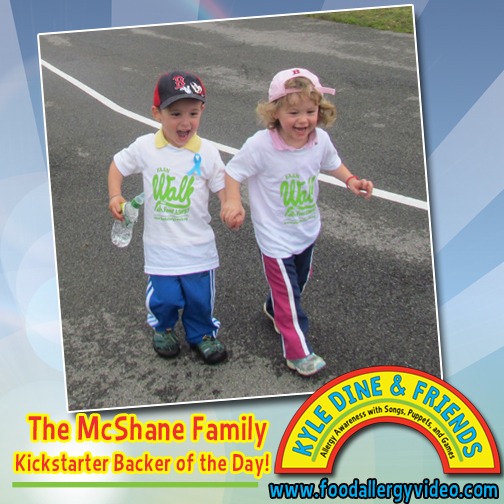 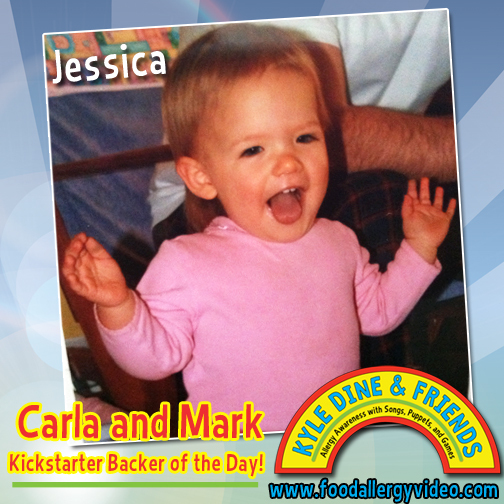 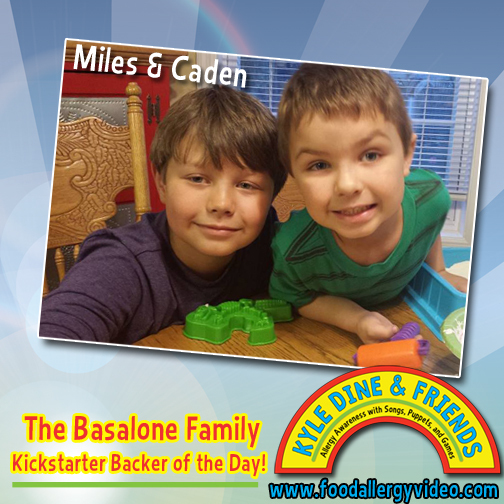 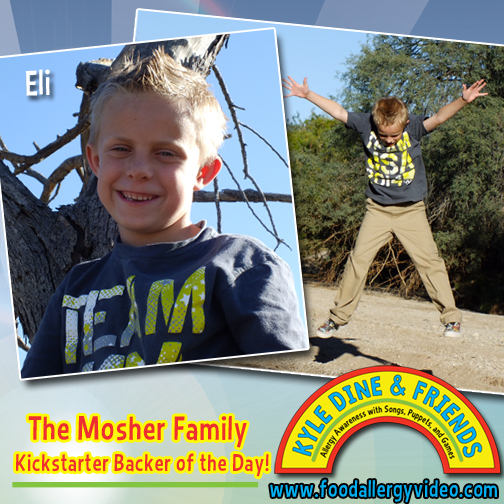 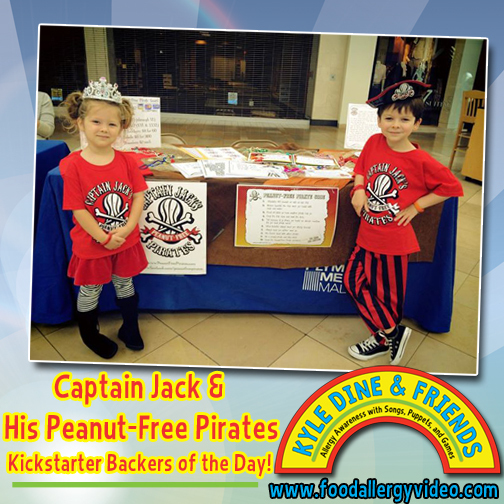 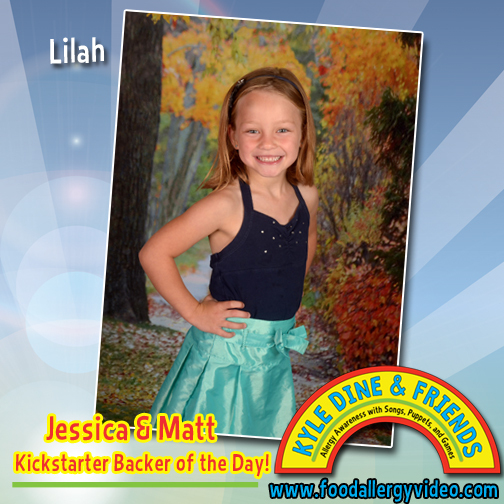 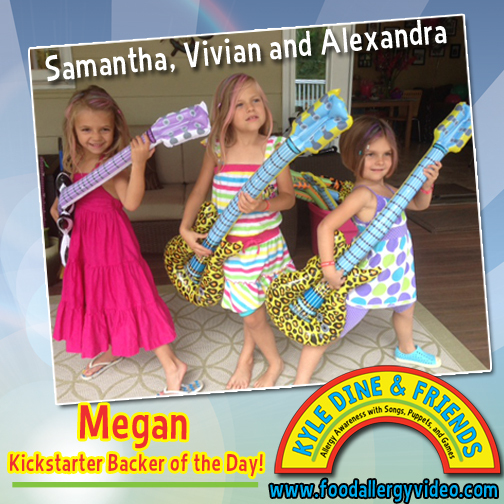 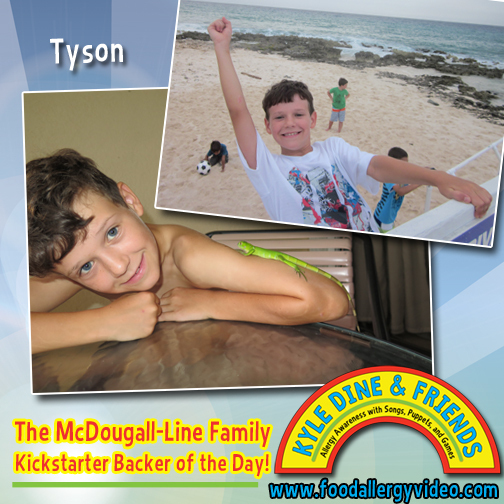 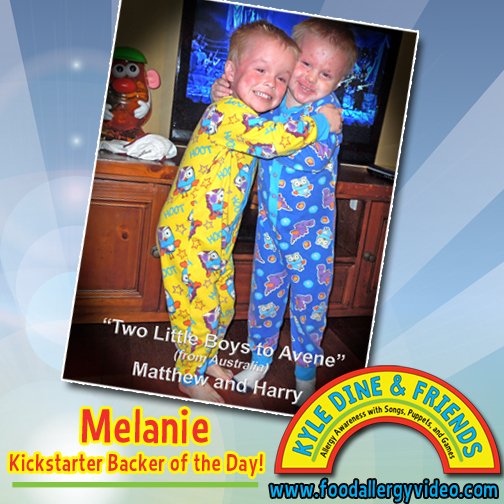 My Kickstarter "Backer of the Day" represent all of the courageous children who live with food allergies. 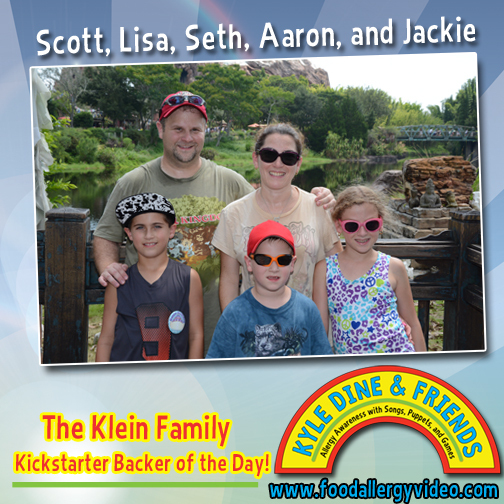 This entire DVD project is dedicated to them, and all of the families dealing with this condition on a daily basis. 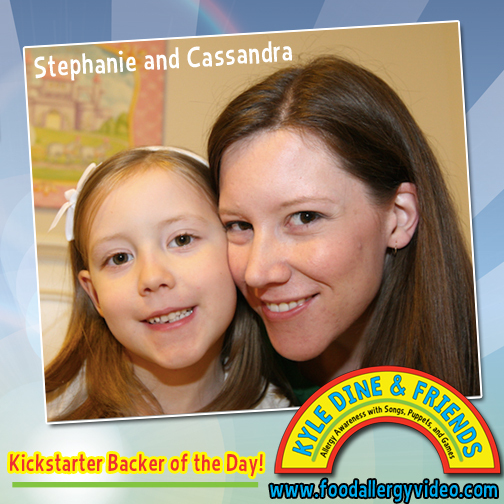 There is no $ pledge amount required to be the "Backer of the Day". 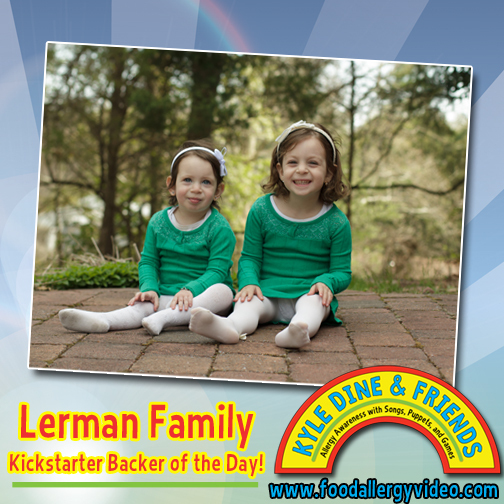 Your passion for raising food allergy awareness and support for our allergic kids is the true currency that counts!